Israel has been in the news a great deal this month. Who hasn’t been horrified by the Gaza footage? But going back to the roots of the seventy-year old conflict, there are some key facts many may not be aware of. Seventy-three years ago, the world was shocked and horrified as the extent of the Holocaust extermination machine was unveiled. Six million Jews, half of Europe’s Jewish population and a third of the world’s, slaughtered in less than five brutal years. Along with five million others—priests and pastors, gypsies, Jehovah's Witnesses, communists, anarchists, Poles and other Slavic peoples, not to mention resistance fighters. 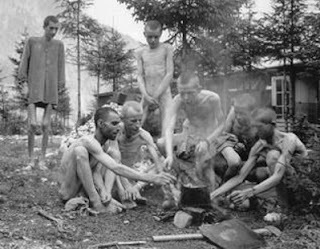 When the Allied armies liberated the concentration camps in 1945, I always pictured that the captives were quickly nursed back to health and freed. But in researching a future novel, I’ve learned that picture is heartbreakingly inaccurate. The war left 250,000 Jewish displaced persons interned around Europe—many of them still confined in overcrowded conditions on the grounds of the camps in which they’d endured so much. Many Holocaust victims were still living behind barbed wire in those camps five years later. Wedding dress sewn from parachute silk. It was reused by a succession of Jewish brides in the Celle and Belsen camps--former concentration camps made over to house Jewish "displaced persons." They didn’t want to—or couldn’t—return to their former homes where they’d faced so much persecution. How and where to resettle them became a humanitarian crisis of global proportion. The majority of them stated they had a single dream: to "make aliyah" or immigrate to their own land, in what was then Mandatory British Palestine. Let's step back a quarter century. In 1922, after the Ottoman Empire fell at the end of WWI, the League of Nations granted the British a Mandate to govern an area the British (not the Arab residents, who had been citizens of the Ottomans) named "Palestine." The Mandate's express purpose? To establish "a national home for the Jewish people." Many attempts have been made to define a plan to divide the land between Arabs and Jews. Peel Commission Partition Plan, 1937. The Jewish State would get the smaller area within the red lines. Jerusalem would be in an international zone governed by the British. The Jews agreed to this partition plan. But the Arabs rejected it, continuing the Arab Revolt. U.N. Partition Plan enacted in May, 1948. The crazy-shaped blue area was Israel. Jerusalem (in gray) was, again, to be a special international zone. The Jewish State looks like indefensible Swiss cheese here! The big pointed piece at the bottom is the Negev desert--forbidding land not suitable for either agriculture or urban development at that time. Nonetheless, the Jewish negotiators agreed to this plan. The Arab negotiators did not. Non-Jewish residents of the new nation were not asked to give up their homes or their civil rights, which were guaranteed. But those who wished to remain in the Jewish sections would need to accept Jewish leadership. That the Arab world would not submit to. Instead, Palestine plunged into a state of undeclared civil war. This began months before the partition officially took effect on May 15, 1948. Violence escalated. The day Israel became a nation, seven surrounding states attacked it. Heavily armored columns bore down on Jewish farming communities whose defense consisted of molotov cocktails and a motley assortment of smuggled rifles--smuggled, because they had been illegal for them to own under the British mandate. Perhaps with the addition of a light mortar or two and what little ammunition the nascent Israeli Defense Force could supply. Jewish kibbutz members work their collective farm in 1947. 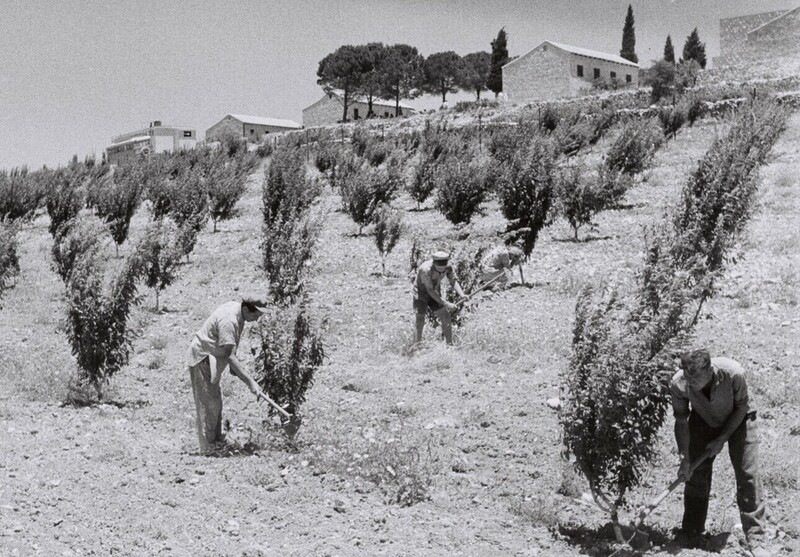 The Kfar Etzion kibbutz was destroyed by Arabs on May 14, 1948--the day before war was formally declared. Jewish occupants were slaughtered after surrendering, including approximately 20 women. Many Arabs fled Israel voluntarily at this time, understandably fearful to remain in a war zone. Some were, frankly, expelled at gunpoint. Once it became clear the Arabs would not support the Jewish state, the fledgling nation couldn't afford to leave villages in place in strategic locations where they could easily harbor and support its enemies. Seventy years later, why are so many Palestinian Arabs still in squalid refugee camps? The entire history of the conflict is too involved to sketch out here. One fact does seem to get overlooked in the coverage. The walls that keep the Palestinian Arabs out of Egypt and Jordan are just as serious business as the barriers that keep them out of Israel. In 1952, the Arab League agreed that no member state would grant citizenship to Palestinian Arabs. And despite receiving ~$5.5B in international aid since 1993, the Palestinian Authority (now merged with recognized terrorist organization Hamas) has done little to improve the people's living conditions. The situation in the Palestine refugee camps is indeed wrenching. But Israel is not solely to blame. Former Israeli Prime Minister Golda Meir is quoted as saying, "We will perhaps in time be able to forgive the Arabs for killing our sons, but it will be harder to forgive them for having forced us to kill theirs." For a more specific take on the current events, you might check out the first paragraphs of my blog post here. Thanks for the interesting post. This is heartbreaking, that the situation cannot be resolved. Heartbreaking indeed, Connie. Sadly, the Arab world's persistence in relying on violence rather than coming to an agreement has cost millions of people their future--they're in a horrible no-win situation. But... it's prophecy in action. Apparently the Lord has no issue with recognizing Jerusalem… as the seat of His soon-coming King! Thank you, Lori! Thanks for reading, and I hope you enjoy your three-day weekend! We had the privilege of attending a class on the history of Israel last year. It was profoundly moving and a great reminder of God's faithfulness to his chosen people. It is incredible how much of the world's attention continues to be turned to that tiny bit of land. The Land God promised Abraham. Thanks for a fascinating post! Hi, Stephanie! You should visit Israel--really amazing! And yes, I am so grateful we serve a covenant-keeping God! Wow! Heartbreaking but we know God's people will eventually win as proclaimed in His Word. Thank you for sharing the truths about Israel. Thank you, Marilyn, for the encouraging comment. Yes, we certainly know where this is headed. Praying for the peace of Jerusalem! You are welcome, Linda. Blessings. So very sad, indeed! thanks for this enlightening post, Linda! What an assurance to know God is in control! I signed up for your newsletter. Your blog is amazing1 What a wealth of information. Thanks for sharing. Forty years ago, my husband and I lived on a kibbutz for a year. It was quite an experience. The story of Israel reminds me of David and Goliath. God has protected and favored Israel as He did David. Wow, Vickie, that's really cool! What an honor--and very hard work, I'm sure! And yes, what God is doing for them is truly amazing. Praying that they will see it as clearly as we do! Hi, folks! 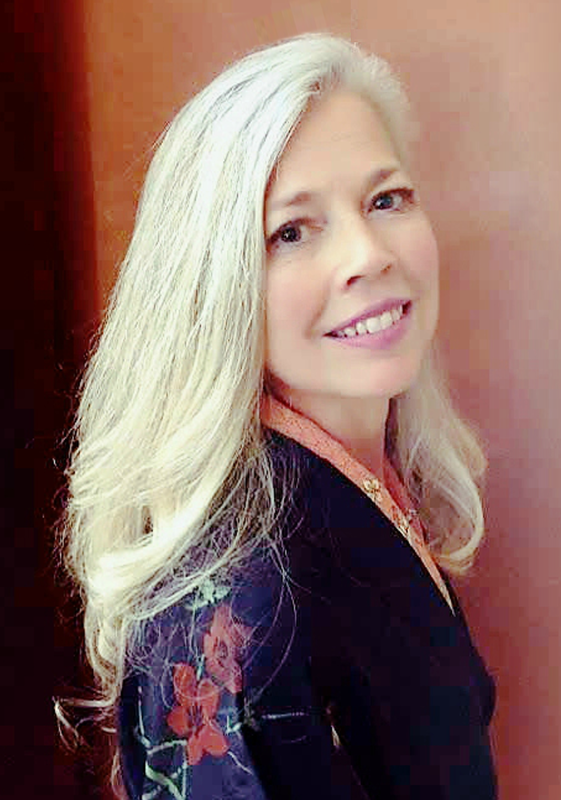 Just letting everyone know that Bonnie won Sarah Sundin's novel! Thanks so much to you all for your gracious comments and support! Another great piece, Linda! Can't wait to read your book when it releases!